of the Laconneau Quarterly Newsletter. Students frequently ask where did the Tradition called Laconneau originate? Who started it? What is its real history? The answers to those questions lie in the Tradition’s mythology, a story inseparably intertwined with the history of the Languedoc itself. Starting nearly two thousand years ago on a beach in southern France, from the first footsteps on the seashore near what is now the little town of Saintes-Maries-de-la-Mer, the founders then wound their way through the highlands of the Massif de la Sainte-Baume and, from there, westward into the mountain heartland of southwestern France then called Roman Gaul. Since then, like the country itself, the Tradition has had a long, turbulent and, at times, bloody history. It has survived wars, crusades, invasion and centuries of persecution. It witnessed the blossoming of Occitan culture, and the rise and fall of Les Cathares, their tragic and deadly persecution, culminating in what is commonly perceived as their final extermination on the pyres of the Inquisition at Montsegur. The centuries that followed these terrible events saw the systematic destruction of Occitan culture at the hands of the Northern invaders and the Roman Inquisition, and the subsequent horrors and atrocities of the wars of religion. All through the centuries, silently and hidden in plain sight, Laconneau survived and continued its work, and its history and symbolism is written for all to see in the rocks and ruins of the Languedoc. This autumn we are pleased to announce the Sentier de Laconneau, a pilgrimage aimed at taking its participants on a living journey through the history of the Tradition. Starting at Saintes-Maries-de-la-Mer, we will retrace the steps of the Tradition’s founders that led eventually to its final home deep in the mountains of the Languedoc. Our view of pilgrimage is a journey undertaken, not in an air-conditioned coach, but rather on foot in a manner that allows the participant to truly experience the land and its history. Participants on the Sentier de Laconneau will walk the trails and mountains that have for so long been the Tradition’s home and perhaps in so doing even discover something of great value hidden deep within themselves. We will also cater for those who, either by choice or necessity, would prefer a more relaxed and less strenuous trip. Each day, apart from our traditional hiking activity, those who wish to avail themselves of a less strenuous form of transportation than on foot will be able to tour the same sites by car in the company of a qualified guide who will provide historical background information and lectures on each site. All costs for both groups will remain as advertised. For more information or to reserve your place, contact Alex at alexg@laconneau.org. Thomas Jefferson famously created his own version of the Bible by literally cutting out and discarding passages that he perceived to be corrupt, divisive, or "contrary to reason." Jefferson's expurgated text, The Life and Morals of Jesus of Nazareth, was published in 1904 by an act of Congress. Jefferson's version of scripture omitted supposedly miraculous events in the life of Jesus, such as the story of the loaves and fishes. He was understandably skeptical about the loaves and fishes. According to the Bible, Jesus fed a multitude of people with just five small barley loaves and two small fish. The event is recounted in the four canonical Gospels of Matthew, Mark, Luke, and John. Each one claims that Jesus divided the meager provisions among 5,000 people. After everyone had eaten, the disciples were able to collect twelve baskets of leftovers. The story is recounted, too, in another Gospel, but in a way that is both reasonable and instructive. The Gospel of the Beloved Companion: The Complete Gospel of Mary Magdalene depicts the scene differently than other Gospels. In Mary Magdalene's account, Yeshua (Jesus) asked his disciples to "go amongst the people and collect all the food that they will give you and bring it to me." Yeshua blessed the food that had been gathered and told his disciples "to divide it equally among the multitude." Everyone ate, and there were leftovers. His disciples asked how Yeshua was able to feed everyone. He replied: "When more than one are gathered together in the Spirit's name, then the Spirit is with them, and when the Spirit is with them, then there is always enough for all." As recounted by Mary Magdalene, the "miracle" was not that Yeshua turned a little food into a lot. Rather, he invited the multitude to share, redistributed the food, and demonstrated that there was enough for everyone to eat. The real "miracle" was that Yeshua shifted his disciples' perception of scarcity into a perception of abundance. Yeshua did not alter material reality; he altered people's thinking about material reality. For readers familiar with the canonical Gospels, The Gospel of the Beloved Companion casts the life of Yeshua in a much more reasonable and commonsensical light. The Gospel portrays Yeshua as a teacher, not as a savior or Christ. Yeshua shows his disciples that shifts in perception can be wondrous and liberating. He teaches a path of kindness, meditation, and enlightenment in this lifetime. He offers wisdom rather than pronouncements from on high. Thomas Jefferson never had a chance to read the Gospel of the Beloved Companion. The first century Greek manuscript has been hidden and safeguarded by a Gnostic spiritual tradition in France since the Middle Ages. The Gospel was published in English for the first time in 2010. If Jefferson had read it, it is possible that he would have approved. This often quoted adage—first offered up by an old comic book friend of mine—is one that is not to be taken lightly by those who rise to positions of great power and then propose to use that power to change the face of entire nations. Sadly, it is a bit of wisdom that David and Charles Koch appear to have never taken to heart. Thanks to the very elected officials who achieved their Congressional offices as a result of the organizational and financial contributions of Charles and David Koch, the brothers’ massive business interests—along with the interests of just about every business in the nation—are poised to take a major hit at the hands of those they placed in positions of power. Indeed, so concerned are the Kochs with the damage already done and the catastrophe we—and they—may now be facing, they are scurrying to gain some measure of control over their Frankenstein monsters. Last week, Koch Industries sent a letter to Senate Majority Leader Harry Reid (D-NV) making it clear that, while they continue to object to Obamacare, they do not support the linking of Obamacare to the passage of a continuing resolution that would re-open the government. If the circumstances were not so tragic the irony would be delicious. Despite the Koch Brothers being among the key drivers of The Tea Party (some would say that they have, in fact, co-opted the Tea Party) a Pew Poll out last week reveals that 69 percent of those who identify with the Tea Party believe that the United States can blow by the debt ceiling deadline without major economic problems. While the fact that nearly 70 percent of Tea Partiers see the failure to raise the debt ceiling as no big deal will be a disturbing revelation to a majority of Americans, what is more significant is the fact that 23 percent of Tea Partiers recognize that it is essential that we raise the debt ceiling to avoid the catastrophe that would likely result. Why are the Koch Brothers not using their money and influence to choose candidates from that 23 percent who share the Kochs’ ideology but have the brains to understand basic and widely accepted economic reality? Why are they unable to find candidates in the Tea Party who ‘get’ that while the Treasury may have sufficient revenue coming in to pay the interest on our bond debt, we would necessarily be left to default on other obligations we have—taking huge sums of money out of the economy which, inevitably, leads to another deep recession if not worse? While I would take issue with the suggestion that our nation benefits when two people—no matter what their political preferences—can exercise so much influence because they have lots of money to toss about, our laws permit the Koch Brothers to pursue their right to spend a part of their large fortune in support of their vision of what they believe makes for a better America—or at least a better America for David and Charles Koch. However, acquiring the power their fortune has granted them must comes with responsibilities—responsibilities the Koch Brothers have grievously failed to take seriously. Now, their efforts to get some control over those who wish to push America’s economy over the edge are too little and much too late. Would it have been asking too much of Charles and David Koch to actually vet the quality of their candidates rather than just throwing huge sums of money in the direction of anyone running for office who proudly waves the Tea Party banner? I know some pretty intelligent members of the Tea Party and, while I may disagree mightily with these people on policy, I certainly recognize them as competent to serve in high office. Why did the Kochs fail to exercise their responsibility to find higher quality people to support rather than settle for candidates that include a physician who claimed to be pro-life but turns out to have forced a mistress to get an abortion; or a candidate who voted to increase farm subsidies while dramatically cutting food stamps who turns out to be pocketing huge sums of that farm subsidy money; or a candidate who claims that the concern for how failing to raise the debt ceiling could be devastating to our economy is nothing but “media hype”? Could Charles and David not have foreseen that by simply funding anyone willing to voice a shared perspective, they might be sending people to Washington who lacked the basic competence and understanding of important issues to handle the job in a manner that even comes close to being responsible? Like most things in life, throwing money at a problem is rarely the solution. If you want to get something done, you better be prepared to do it the right way or, as the Kochs are now discovering, it will almost always come back to bite you where the sun don’t shine. It makes no difference what your politics may be—with great power comes great responsibility. Unfortunately, Charles and David Koch have failed to assume the responsibilities inherent with their desire for power and now —whether we get a debt-ceiling rise or not—their country is far worse off as a result of their carelessness and the quest for ideology over competency. Ungar, Rick. Insani-Tea Reigns: Koch Brothers Fail To Control the Monster They Created. http://www.forbes.com/sites/rickungar/2013/10/16/insani-tea-reigns-koch-brothers-fail-to-control-the-monster-they-created, October 16, 2013. In October 2010, we ran an article in the Laconneau newsletter about the Koch brothers and included commentary that drew the parallels between the rise of the Tea Party and rise of the Nazi part in 1920s and 1930s Germany. Unfortunately, as shown by the above article, both the article and commentary from 2010 are as relevant today, over three years later, as they were then. The Nazis promoted national rebirth in their country and wanted to restore honor following Germany’s military defeat of World War I. The Nazi party also strongly opposed communism and liberalism, appealed to the working-class, and advocated purifying the Arian race (1). Wealthy businessmen and industrialists funded the Nazi party because they believed the Nazis would destroy organized labor and deregulate the market, thereby drastically increasing industrial profits. By the time they realized the nature of the social movement they helped fund and create, it was too late to stop it. In its infancy, ordinary German citizens regarded the Nazi party as an extreme fringe element that would eventually lose momentum and blow itself out. By the time they realized what was really happening, the Nazi party was in power with the declared purpose of permanently remaining, and any opposition was silenced. Many Americans thought that the Tea Party was just an extreme fringe element that would fizzle out, but as we can see, they were wrong. Far from fizzling out, the Tea Party is thriving and gaining momentum. The Tea Party hijacked and shut down the government for 16 days and very nearly devastated the world economy! If the Tea Party continues to grow and gain political and social power, history shows us where it will lead. Tea Partiers vehemently oppose anyone who does not go along with their ideas and policies. They believe that they are the only ones with true American values and criticize or attack those who disagree. Tea Partiers accuse any Republicans who either worked on or supported the new budget deal of “selling out”. And, because this is an election year, Republicans who hold House or Senate seats with voter bases that are largely made up of Tea Party supporters will, again, move farther to the right in an attempt to hold onto their seats. Due to gerrymandering across the country, many House Tea Party representatives will not lose their seats. So, effectively, the dominant policies and ideals in a government that is supposed to be secular and representative of the people are being determined by a minority group of political and religious extremists – a group that continues to gain momentum and popular support. Again, history shows us where this trend will lead. We do not have to look very hard to find the parallels between early Nazi and current Tea Party rhetoric. The Tea Party rhetoric becomes more war-like and nationalistic all the time. One Tea Party poster features a muscular Uncle Sam rolling up his sleeves and making a fist, with an angry scowl on his face. The poster reads, “Get involved! It’s time to take back America”. (2) Given the number of racist and anti-immigration statements that are made regularly by Tea Partiers, it is easy to guess what they want to take the country back to. There are countless examples of Tea Party officials spouting nationalist and/or religious rhetoric. They begin congressional committee meetings with prayers. They re-write history and hold themselves out to be “true” Americans and freedom fighters. Ted Yoho of Florida, who was elected in 2012 “compares Republicans fighting to defund Obama­care to ‘Rosa Parks, Lech Walesa [and] Martin Luther King.’” (3) There are warnings from elected Tea Party officials that jihadists are sending pregnant women to the U.S. to have “terror babies” who will be raised as U.S. citizens; and statements opposing the Dream Act because it “would offer citizenship mainly to drug mules”. (3) And, they continually label Obama as a socialist and warn of the dangers of socialism as the slippery slope into communism. Any minimally educated American can likely see these and countless other Tea Party statements for what they are: ridiculous and fabricated statements that are spoken by a bunch of ignorant imbeciles. But, the problem lies with the amount of power, religious/financial backing, and social support the imbeciles now have thanks to the Koch brothers and conservative Christian groups. So, rather than the Tea Party simply dying out, it is now more powerful than it was three years ago and not even those who fund them can control the party’s direction. Are we so unwilling to learn from history? Do we really think that what happened in the 1920s and 1930s in Germany could not possibly happen here in the 21st century? As stated above, the Nazis were backed by wealthy industrialists and were also supported by the Catholic Church. The Tea Party has the Koch brothers (and others) and the support of conservative Christianity. We KNOW this is a lethal combination: not just for one nation, but also for the world. And now the Koch brothers are turning their attention to local politics. They are backing candidates (through different shell groups) in local races who represent their ideals because policy changes on the local level are much more immediate than they are in national politics. (4) They know that effective changes and movements begin and take hold at the grassroots level and in local politics. 2010 was a midterm election year and so is 2014. In 2010, Tea Party and Republican candidates gained seats in Congress as they did again in 2012. It is my hope that now that Americans can clearly see the Tea Party’s agenda, that we, as citizens and voters, will dedicate ourselves to working to end this trend and bring a halt to the inroads that the Tea Party’s religious and political extremists continue to make at all levels of government. Words are not enough. Action is imperative! For more information, please contact Rai at festival@laconneau.org. Agnès Humbert was an art historian in Paris during the German occupation in 1940. Stirred to action by the atrocities she witnessed, she joined forces with several colleagues to form an organized resistance – very likely the first such group to fight back against the occupation. (In fact, their newsletter, Résistance, gave the French Resistance its name.) In the throes of their struggle for freedom, the members of Humbert's group were betrayed to the Gestapo; Humbert herself was imprisoned. In immediate, electrifying detail, Humbert describes her resistance against the Nazis, her time in prison, and the horrors she endured in a string of German labor camps, always retaining – in spite of everything – hope for herself, for her friends, and for humanity. Originally published in France in 1946, the book is now translated into English for the first time. 2005 Academy Award Nominee for Best Foreign Language Film, Sophie Scholl - The Final Days is the true story of Germany's most famous anti-Nazi heroine brought to thrilling, dramatic life. Sophie Scholl stars Julia Jentsch… in a luminous performance as the fearless activist of the underground student resistance group, The White Rose. The Greenville Circle was pleased to host a Level I Introductory Course on October 29th and 30th, just prior to the Autumn Festival. The class was well attended and well received. The Festival was also well attended, with participants coming from Colorado, North and South Carolina, Georgia, Illinois, New Jersey, Pennsylvania, Vermont, Virginia, and Washington, DC. 1. Been active during the recent local elections, in supporting the re-election bids of liberal candidates. All but one of the candidates was re-elected to office. 2. Attended an event featuring Yvonne Williams, the founder and Executive Director of Trafficking In America Task Force, Inc. a non-profit formed to educate and mobilize people across the country to work towards eradicating human trafficking in America. The circle has previously worked with the Eastern North Carolina Stop Human Trafficking Now organization and will continue to expand its activities in 2014. 3. Listened to presentations on Hunger in America at an event sponsored by the Chancellors Committee on the Status of Women at East Carolina University and spoken to representatives of the Food Bank of Eastern North Carolina with a view to exploring volunteer activities. During the past three months, the Greenville Circle has also shown the films: Women, War and Peace, The Invisible War, and Half the Sky: Turning Oppression into Opportunity for Women Worldwide. The films have been followed by discussion that continues to inform and fuel the political action that we are taking. We will continue to show films in the New Year, beginning with Sophie Scholl: The Final Days in January. The Chapelle is open every Friday evening, from 5:30PM to 7:30PM for those who have completed a Level I Introductory Course. There is no need to contact Kathy before coming, but we request that you please make arrangements in advance if you wish to use the Chapelle for meditation at other times. For more information about Laconneau events in the Carolinas, please contact Kathy by email at the.carolinas@laconneau.org. In preparation for the upcoming Laconneau classes, the Denver Circle will host a Book Discussion on The Gospel of the Beloved Companion: The Complete Gospel of Mary Magdalene on January 21, 2014 at 7:00PM. The Book Discussion will take place at the Divine Feminine Group monthly meeting at the Unitarian Universalist Church located at the corner of South Colorado and East Hampden Avenue in Denver. The Denver Circle looks forward to the upcoming weekend of classes in February. On Friday, February 21, 2014 we will host a “meet and greet” with Jehanne de Quillan, the author of The Gospel of the Beloved Companion: The Complete Gospel of Mary Magdalene. Then, on Saturday, February 22, 2014 at 10:00AM, we will host the seminar entitled The Gospel of the Beloved Companion: An Introduction to which women and men are invited. On Sunday, February 23, 2014 at 10:00AM, we will host a Laconneau Level I Introductory Course, to which all women are welcome. For more information and to register for the seminar and/or the class, please contact Jude at CO@laconneau.org. The Denver Circle continues to build community with different events. For more information and to attend any of the Laconneau Colorado events, please contact Jude at CO@laconneau.org. In the fall of 2013, the Chicago Circle held monthly film screenings and meditations. Discussions at the events have been interesting and informative. In September, two circle members travelled to Atlanta, GA to attend a Gospel of the Beloved Companion Seminar and a Level I Introductory Course. In accordance with the evolving focus of political activism during film screening discussions, women have set action goals and, with the support of the circle, have followed through. For example, following the screening of Part I of Half the Sky: Turning Oppression into Opportunity for Women Worldwide, one woman contacted Somaly Mam to plan a visit to Cambodia and to offer assistance. Following the screening of The Invisible War, another woman registered for giveanhour.org, an organization providing support for U.S. military personnel and their families. The Chicago Circle is looking forward to hosting our first Laconneau Seminar and Laconneau class in March 2014. On Saturday, March 22, 2014 at 10:00AM, we will host the seminar entitled The Gospel of the Beloved Companion: An Introduction. Women and men are invited to attend this remarkable seminar. Then, on Sunday, March 23, 2014 at 10:00, we will host a Laconneau Level I Introductory Course to which all women are welcome. For more information and to register for these courses, please contact Seoka by email at Illinois@laconneau.org. The Chicago Circle will continue to host regularly scheduled film screenings, meditations, discussions and hikes which all women are welcome to attend. Please refer to the Illinois calendar on the Laconneau website for specific information about upcoming Laconneau events in Chicago. For more information about Laconneau events in Illinois, please contact Seoka by email at Illinois@laconneau.org. The Philadelphia Circle hosted a film screening of Half the Sky: Turning Oppression Into Opportunity for Women Worldwide (Part I) on Saturday, November 23. The screening was well attended and was followed by a meaningful discussion concerning ways in which we can take action around important issues in our community. The Philadelphia Circle is currently in the process of deciding the best way to positively influence our local community. The Philadelphia Circle hosted Part II of Half the Sky: Turning Oppression Into Opportunity for Women Worldwide in December, which was also followed by a lively and informative discussion. 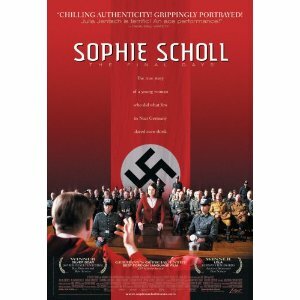 We look forward to our January film, Sophie Scholl: The Final Days on Friday, January 24 in Philadelphia. The film will be followed by a discussion. The Philadelphia Circle hosts regularly scheduled meditations that provide a space for individual spiritual growth while also building community and comradeship. These events are well attended and well received. We invite all women to participate. Women in the Philadelphia Circle are involved in the publication of La Maquisarde. We are currently writing articles and promoting the publication. For more information or to attend any Laconneau events in Philadelphia, please contact Dana by email at PA@laconneau.org. Three area women attended the Autumn Festival, in Greenville, North Carolina. The weekend of teachings, archery and comradeship was enjoyed by all who attended. The Washington, DC Circle is pleased to host the seminar entitled Enlightenment: The Magdalene’s True Legacy? on Saturday, March 8, 2014 at 10:00AM. Women and men are invited to attend this remarkable seminar. Then, on Sunday, March 9, 2014 we will host a Laconneau Level I Introductory Course at 10:00AM to which all women are invited. For more information and to register for either or both of these wonderful courses, please contact Rebecca by email at WashingtonDC@laconneau.org. In addition to regularly scheduled Community Circles and Women's Circles, the Washington, DC Circle is regularly hosting open meditations to which all women are invited. These meditation evenings have been very well received. The next open meditation will take place on Monday, January 27th at 7:30PM in Washington, DC. The Washington, DC Circle invites all women to attend its classes and events. For more information about the Laconneau events in Washington, DC, please contact Rebecca by email at WashingtonDC@laconneau.org.